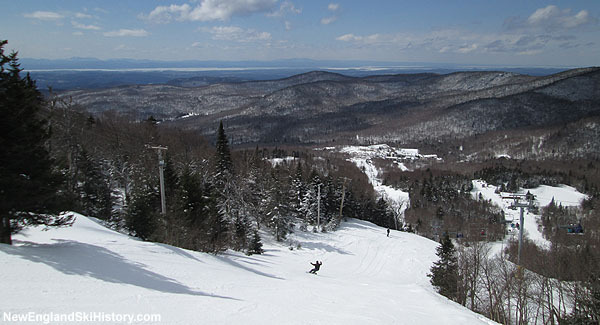 Located southeast of Burlington, Bolton Valley is the newest ski resort in Vermont. Lift served skiing in Bolton Valley almost commenced in the 1940s, when Edward Bryant attempted to get funding for construction of a base lodge and rope tow. While he had been successful in cutting nordic trails in Bolton Valley starting in the 1920s, he was not able to gain financing for an alpine area. As a result, the area remained quiet from a recreational standpoint, dominated by logging. Things began to change circa 1963, when Roland DesLauriers sold farmland and used the proceeds to purchase 8,000 acres of Bolton Valley land from Plant and Griffith Lumber Company, Inc., reportedly for $45 per acre. DesLauriers and his son Ralph formed the Bolton Valley Corporation in 1965 and began developing ski trails. E. H. Lord-Wood Associates was hired to develop plans for the resort. An aggressive development plan was released, stating "our objective in the valley below Bolton Mountain is to create an environment where people may do the things they enjoy, whether it be skiing, hiking and climbing, fishing, riding, tennis, swimming or simply sitting in the shade with a glass of wine, watching." Ski trails were designed so that "the brute force of the earth mover is never apparent." Parking lots were to have "tree belts in them so they don't become seas of steel." Architecture was to "create a happy marriage of land and man-made structure, one serving the other." At full build out, the resort would have featured 75 miles of ski trails spanning over 3,100 vertical feet from the 3,720 summit of Bolton Mountain to Interstate 89. 14 chairlifts would have served the ski area, tying together five base areas. Lift served peaks would have included Stimson Mountain, Bone Mountain, Woodward Mountain, Ricker Mountain, and Bolton Mountain, the latter of which was considered for an aerial tramway. A golf course was planned for the lowest base area, adjacent to Interstate 89. Initial plans called for 3 chairlifts to be constructed for the 1966-67 season, each climbing at least 1,000 vertical feet, the centerpiece being Ricker Mountain. Though the 1966 opening would be a reality, the lift and trail plans were scaled back. 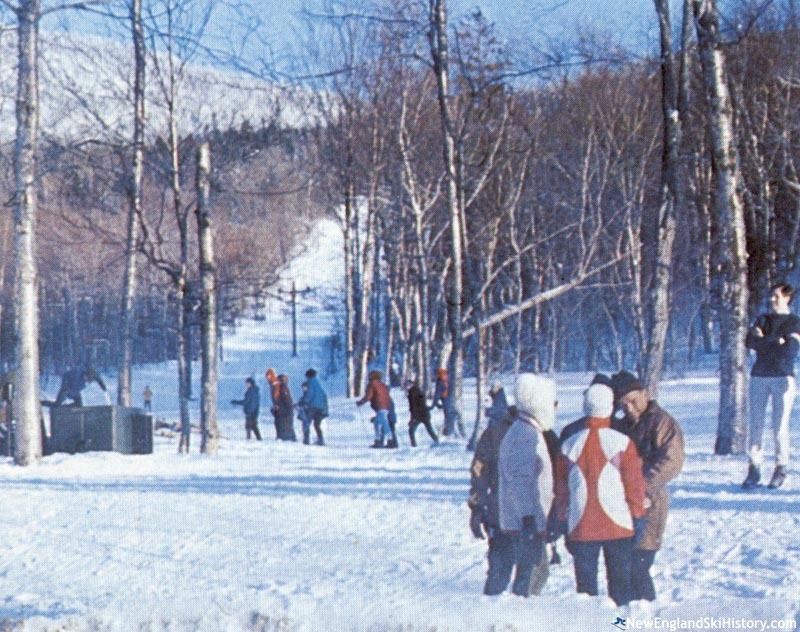 Debuting on Christmas Eve of 1966, Bolton Valley initially featured three Hall double chairlifts serving 9 trails and 3 slopes spanning 963 vertical feet. Adding to the resort atmosphere was night skiing and a hotel that could sleep 144 people. For its second season, improvements included new glades, a heated pool, and a skating rink. Bolton Valley's first sizable expansion took place for the 1969-70 season, when the new Vista Peak complex debuted. Unfortunately for Bolton Valley, funds began to run low. In order to obtain more working capital, DesLauriers sold 1,000 acres to a lumber company in the winter of 1971-72. While additional base area investments were made over the course of the next decade (such as an expansion of the hotel circa 1973 and the construction of the Sports and Conference Center in 1983), growth slowed until the mid 1980s. $5.3 million was invested for the 1986-87 season, including the development of the new Timberline complex. Capitalizing on the abilities of Ralph's extreme skiing sons Rob and Eric, Bolton also worked to cater to advanced skiers by opening the double diamond Devil's Playground in 1990 and offering clinics with members of the North Face Extreme Team. Unfortunately for the DesLauriers, debt and back taxes started to grow. The company reportedly filed for bankruptcy protection near the end of the 1994-1995 ski season, initially hanging on for a few more years. Citing $2.8 million in debt, Lyndonville Savings Bank & Trust foreclosed in April 1997, ending the DesLauriers ownership era. By this point, the base facilities had been sold to a different owner and there wasn't much interest in purchasing 5,300 remaining acres of land and ski infrastructure. In August of 1997, 27 year old Mason Dwinell entered into a purchase agreement with Lyndonville Savings Bank & Trust for $2.5 million. Backed by his parents and grandparents, Dwinell quickly ran into trouble stemming from the bankruptcy, as he could not negotiate a lease to use the base facilities, nor get permission to use the name Bolton Valley. As a result, day skiers reportedly had to boot up in the parking lot or hotel facilities and the ski area was called Bolt'n. Bolt't closed for the season early and Dwinell backed out of the purchase agreement on July 31, 1998. 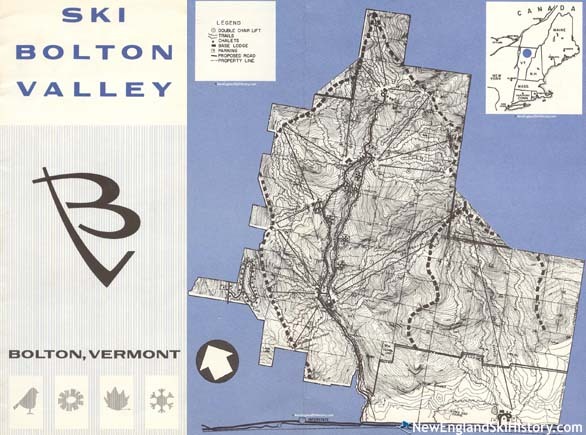 On December 28, 1998, Bolton Valley Holiday Resort, Inc. was registered as a Vermont corporation by Peter Glenn Ski Shops owner Ned Hamilton. The new company purchased Bolton Valley on December 31, 1998 for $2.3 million. 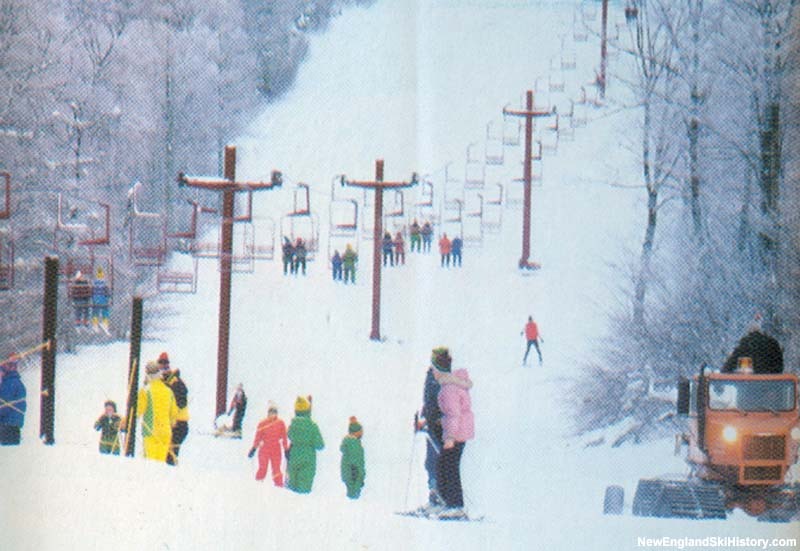 While Bolton Valley did not operate during the 1998-99 season, the new ownership reportedly poured $2.5 million into the area and secured a 50 year lease of the base lodge and sports center. The area reopened for the 1999-2000 season. Financial trouble struck again, as the area filed for bankruptcy in December of 2001. While it was able to operate during the 2001-02 season, legal pressure was applied to find a new owner. 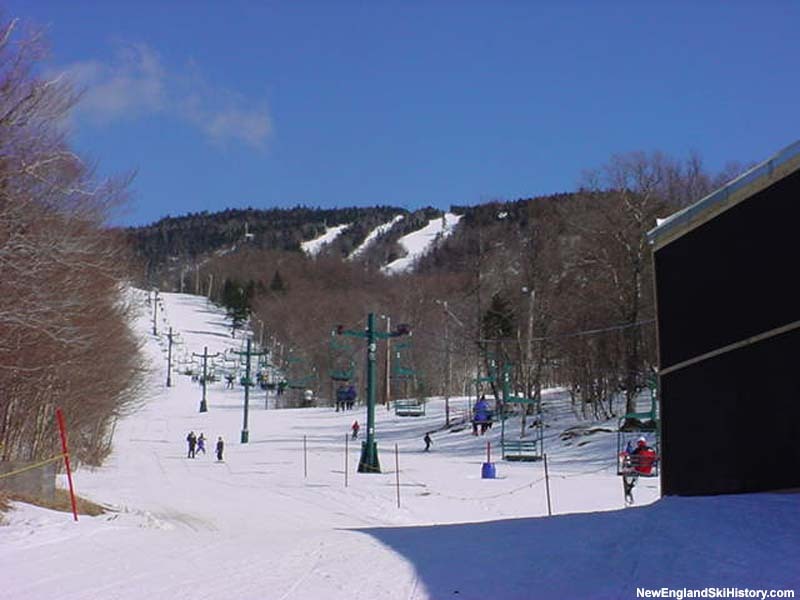 In November of 2002, former Stratton President and Waterville Valley General Manager Bob Fries formed Mountain Operations and Development and secured a lease to operate the ski area, eventually purchasing the 700 acre ski area tract. Doug Nedde and Larry Williams of the Redstone Commercial Group joined the ownership group in June of 2004, initially holding 3,000 acres of land. Meanwhile, the Green Mountain Club and State of Vermont acquired about 1,000 Bolton Valley acres. 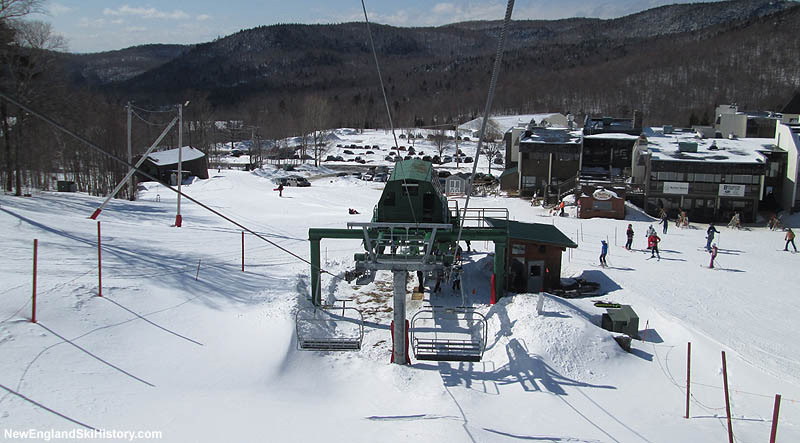 In 2005, Bolton Valley was able to secure a Federal loan for the installation of a new quad chairlift on Vista Peak. Some terrain was re-worked to optimize skiing off the new lift. Following the 2006-07 season, Doug Nedde and Larry Williams announced they had purchased Bob Fries' share in Bolton Valley, making them the sole owners. In late 2009, a 121 foot tall wind turbine was installed on Vista Peak, making Bolton Valley the first ski area in Vermont to generate wind power on site. In late 2010, owners Doug Nedde and Larry Williams announced the ski area was for sale. Nedde formed Nedde Real Estate in March 2012, leaving Redstone Commercial Group in March of 2013. Bolton Valley continues to be owned by the pair. During the winter of 2011-12, word surfaced that Bolton Valley would be selling 1,161 acres of land to a private owner, resulting in the closure of many nordic ski trails. A local campaign was started to purchase the land, resulting in a $1.85 million fundraiser by the Vermont Land Trust. The land transfer was formally completed on June 13, 2013.